Paranormal Research and all that is ghostly in New Zealand's largest city. Haunted Auckland is a Paranormal group based in Auckland, New Zealand. We offer assistance and support to people who believe they are experiencing Paranormal activity, or activity that they just can't explain, in their home or business. Our primary concern is our clients and their families, first and foremost. 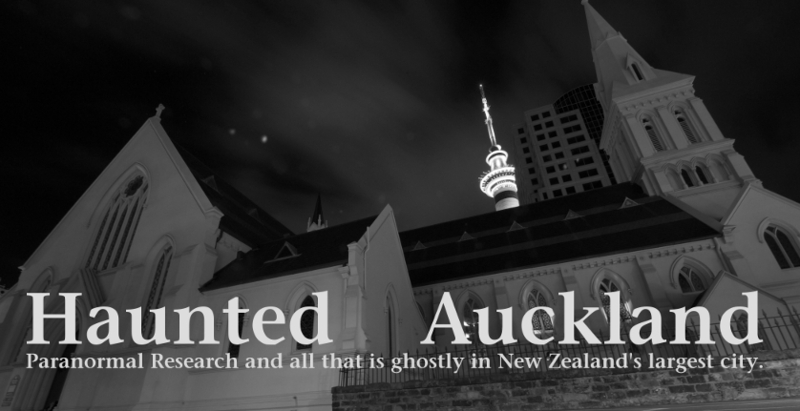 Haunted Auckland is a non-profit research group seeking knowledge, experience and evidence of the paranormal. We are based in Auckland, New Zealand and specialise in the investigation of paranormal activity throughout the Auckland region. Many people who experience a haunting or unexplained events within their own home or business often have nowhere to turn to for help. One of a the primary focuses of Haunted Auckland is to provide support and expertise to those effected by the paranormal in a private and professional manner. Haunted Auckland does not charge for our services. We use each investigation to further our knowledge and experience of the field, looking to capture evidence of ghosts and similar types of anomaly which cannot be explained through conventional science.